There are different types of warranties that will cover your new roof. While you may not think about checking into the warranty, it is a very good idea to do so. The warranty is your guarantee that you will be protected financially if anything goes wrong. Should there be certain problems that come up, you will be able to use your warranty to have the problem taken care of. Be sure when you need roofing in Placerville that you take the warranty into strong consideration. The materials will be covered under a manufacturer’s warranty: You can rest assured that the materials used on your roof are guaranteed to meet certain standards. This means, if anything happens to your roof due to a problem with the materials, you will be financially covered. The workmanship will be covered under a warranty provided by your roofing contractor: If you need roofing in Placerville and you go with a company that offers a warranty on their work, any problems caused by poor workmanship are covered. You will have peace of mind knowing you are financially protected: When you know your roof is under warranty it is a good feeling. You can trust that you won’t have to endure the financial toll if there should be problems with your roof. Straight Line Roofing provides roofing in Placerville and we understand the importance of a good warranty. We are an Owens Corning Platinum Preferred Contractor which means you will be offered some options with regards to your shingle roof warranty, as well as other types of roofs. 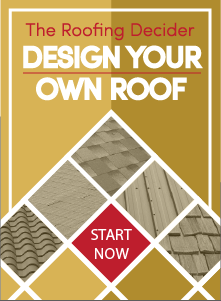 You can choose between the Standard Product Limited Warranty and the Standard Roofing System Limited Warranty. Both types cover material defects, free labor to cover material defects, and you will be able to transfer ownership of the warranty one time. All our shingles are also guaranteed to withstand speeds of 110-130 MPH, with the exception of our Supreme Three Tab Shingles which are guaranteed to withstand winds up to 60 MPG. Most of our shingles also offer algae protection which covers a period of 10 to 15 years. When you are in need of new roofing in Placerville, contact Straightline Roofing. We will be glad to help you choose your new shingle roof, plus give you information on all the warranties available to you. We guarantee all our work and stand behind our workmanship.